Since 2014, this recipe has been my go to for chocolate cupcakes. Back in 2014, I researched the internet for the best chocolate cupcake recipes. Cupcake Jemma shared a delicious looking chocolate cupcake on her YouTube channel, but everything was measured in grams and I was not patient enough to convert it. 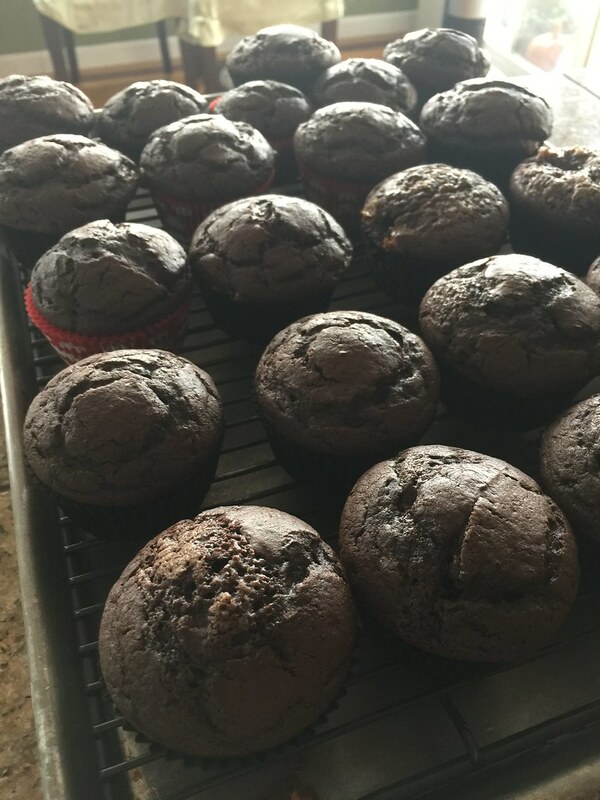 I tried a few other recipes, but the one recipe I kept going back to was Ina Garten’s chocolate cupcake recipe from http://www.foodnetwork.com. At first, I thought it was super weird to put sour cream into the mix, but I think it helped make the cupcake super moist and delicious. 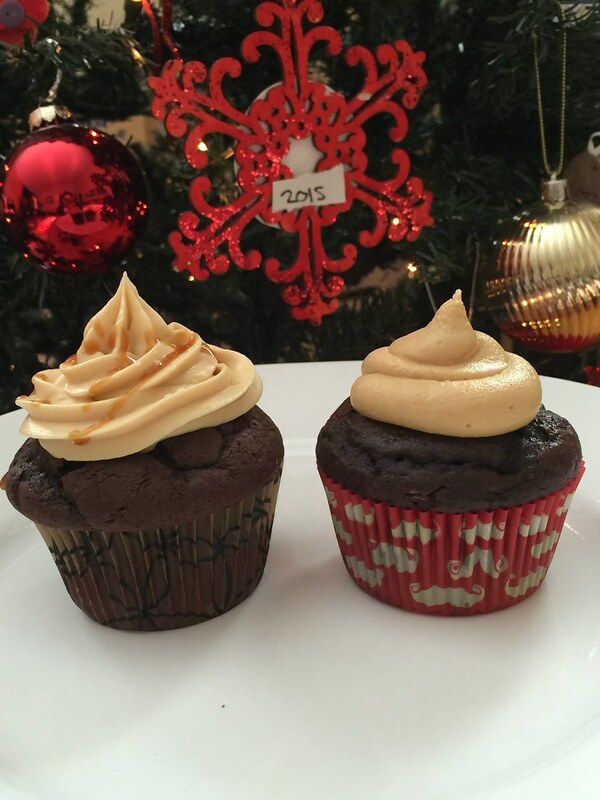 This recipe comes with two of my favorite frosting to pipe onto the luscious chocolate cupcakes. 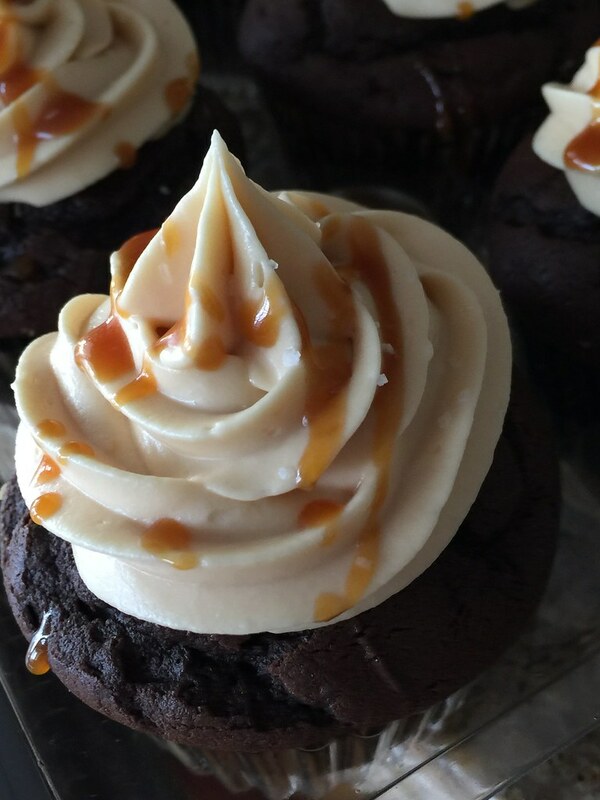 I personally love the peanut butter frosting, but the trendy salted caramel is definitely more of a crowd-pleaser. Prepare Cupcake Ingredients – Preheat the oven to 350 degrees. In a medium bowl, mix flour, cocoa powder, baking soda, and salt. In a measuring cup, whisk vanilla extract, buttermilk, sour cream, and coffee until combined. 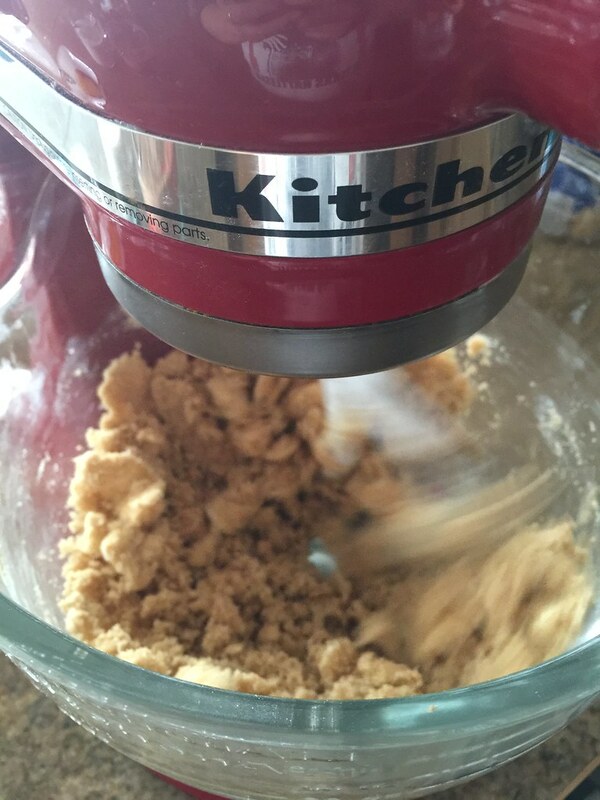 In a stand mixer (if using hand mixer, use medium bowl), add unsalted butter, granulated sugar, and brown sugar. Make Cupcakes – Beat the butter and sugars on low and gradually increase speed to medium high. Cream sugar and butter until pasty yellow, light, and fluffy about 3-5 minutes, scraping sides to ensure even beating. Reduce speed to low and add eggs one at a time until fully incorporated. Begin adding flour mixture and alternating wet ingredients, finishing with flour mixture. Line muffin/cupcake pan with cupcake paper. Fill cupcake paper about 2/3 of the way of batter. Bake for about 18-20 minutes. Take cupcakes out of the oven and rest for 10 minutes in the pan. Remove cupcakes from the pan and cool on wire rack until ready to frost. Make Salted Caramel Frosting – Add cream cheese and butter to stand mixer and mix for about 1 minute. Add confectioner’s sugar. Beat on low and gradually increase speed to medium high for about 2-3 minutes. Add caramel sauce and vanilla. Beat for another minute or until frosting is smooth and fluffy. Add frosting to piping bag. Frost each cupcake. Drizzle caramel and sprinkle sea salt on top of each cupcake. Make Peanut Butter Frosting – Add confectioner’s sugar, peanut butter, cream cheese, vanilla extract, and salt to stand mixer and mix until combined. Add milk if necessary and beat n medium until frosting is light and fluffy. Add frosting to piping bag. Frost each cupcake. If sea salt is not available, use any coarse salt to sprinkle. If frosting looks loose, add more confectioner’s sugar. Add more confectioner’s sugar if you want a sweeter frosting. I try to reduce the amount of sugar put into the frosting.